How can a Personal Chef help me? Whether your household is single or a family, Chef Angela can help you find the time to do the things that are important to you while still being able to put delicious, healthy meals on the table! If you need a special diet, or just want comfort foods, we're there to prepare exactly what fits your needs! Isn't a Personal Chef expensive? Absolutely not! When was the last time you calculated food costs, your time planning, shopping for, preparing and cleaning up meals?...not to mention all the perishables you purchased and intended to cook but didn't. Chef Angela not only provides wonderful meals for your family, but also buys you more time to do the things that are important for you! Having Chef Angela come to your home is very affordable. There will be no more food thrown out you didn't have time to prepare, and no more tip calculations. Chef Angela will make it so easy to enjoy the evening meal in the comfort of your own home ... with your family at your own dinner table! Why should I hire a professionally affiliated Personal Chef? Members of Personal Chefs Network® are constantly stimulated by new trends in the industry through various networking opportunities such as forums, chats, and classes. 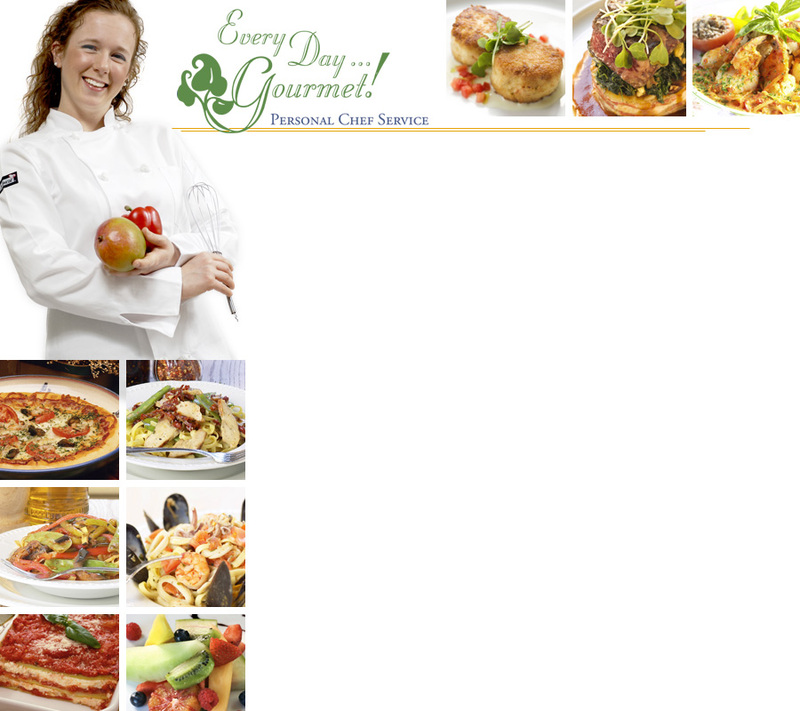 They also have access to new and innovative recipes that are Personal Chef tested and client approved. The members of Personal Chefs Network® are committed to continuing their education within the industry. Member chefs stay abreast of current trends, food safety, and other issues relevant to providing excellent service to our clients. What should I expect from Chef Angela? You can expect delicious food prepared to your specifications, left behind in the proper container, with complete heating directions. She will leave your kitchen clean and your home filled with incredible aromas!